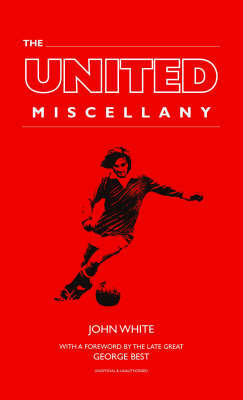 Now fully revised and updated to include the 2006-07 championship season and the amazing 2007-08 campaign, there is something for every Manchester United fan in "The United Miscellany". The world-famous club has a widely diverse and amazingly successful history, but this book is neither a history book, nor a fan's or collector's guide, nor a who's who, nor an encyclopedia. In fact, it is a little bit of all these things.Browsing these pages, the reader will learn thousands of quirky facts about Manchester United on a wide range of topics, from the history of the club's colours and home grounds, to the legendary players who have graced the red shirt to European glory nights, famous managers and match-day curios. More than a book of lists or compilation of trivia, this painstakingly researched work of reference will bring hours of reading pleasure to any Manchester United fan. This new edition will contain: write-ups on all of United's League and Cup triumphs over the past two seasons, two new player biographies, another fantasy team, more feature quotes, sundry lists, and trivia entries.